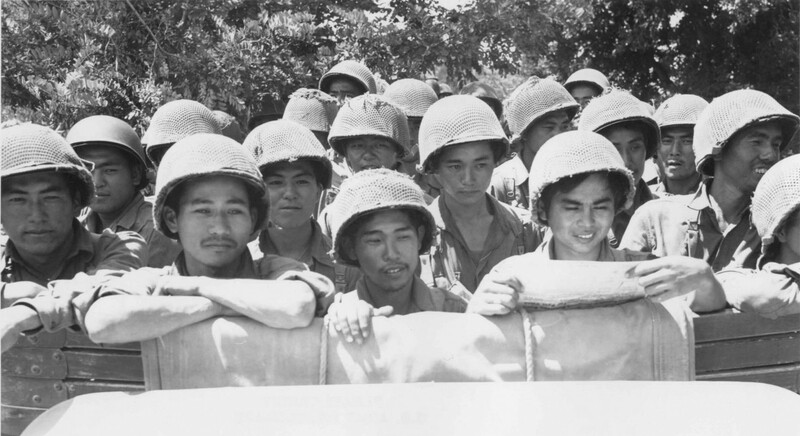 On October 26, 1944, the Nisei soldiers of the 100th Infantry Battalion/442nd Regimental Combat Team, including the 522nd Field Artillery Battalion, were requested by General John Dahlquist to rescue the 141st Texas Regiment’s 1st Battalion (“Lost Battalion”) who had been trapped by German forces. The Nisei soldiers took a heavy beating from German fire — the Germans’ position gave them an incredible advantage — and suffered many casualties. After six long days of fighting, the 100th/442nd decided to “Go for broke” and charged against the Germans, finally breaking through to the Lost Battalion. Susumu “Sus” Ito, a Nisei veteran from the 522nd Field Artillery Battalion, C Battery, recalls the initial moment of the rescue of the Lost Battalion and seeing the men of the 141st Texas Regiment emerge from their entrapment. Sus Ito recently passed away on September 29th, 2015. He was very involved in sharing his military experiences and the legacy of the Nisei soldiers to the world. He recently took part in an exhibition at the Japanese American National Museum (JANM) in Little Tokyo, Los Angeles called Before They Were Heroes: Sus Ito’s World War II Images. During his time in the Army, he had carried with him a 35mm camera and took numerous snapshots of his experiences while overseas. These images were put on display in this exhibition. This month, we honor Mr. Sus Ito by sharing an excerpt from his Hanashi Oral History interview.